Bush, who is in the midst of retooling the company, said in a statement Monday that the board of directors would "carefully review the proposal to determine the course of action that it believes is in the best interest" of the company and shareholders. This latest offer, to pay $160 in cash per share, comes on the heels of first quarter results that appeared to provide a slight boost for the company – although Bush acknowledged during the first quarter 2018 call with investors that there was still more "remodeling work" to do. "The case for going private is compelling and cannot be ignored," Jesse Cohn, a partner and senior portfolio manager at Elliott, wrote to the athenahealth board, adding that the company "has not worked for many years, is not working today and will not work in the future." He said that, as a public company, athenahealth "has not made the changes necessary to enable it to grow as it should and to create the kind of value its shareholders deserve." 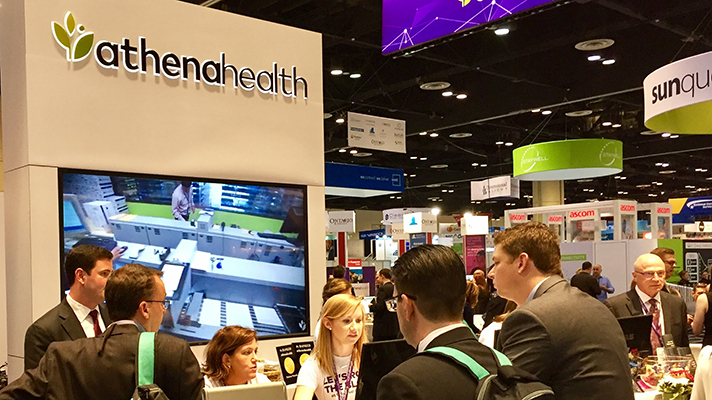 In April 2018, Bush announced an overhaul of the company's structure, with new standalone micro-services.The company debuted Epocrates Connect, a mobile app in March at HIMSS18. The system uses machine learning and language processing to give providers information and help coordinating patient care.